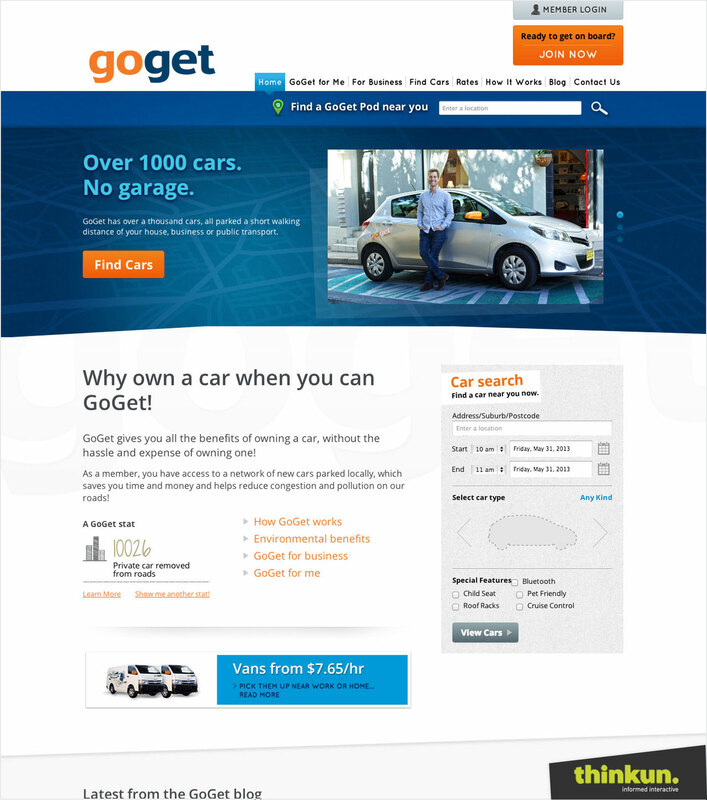 GoGet is Australia’s largest car share service, operating in Sydney, Melbourne, Brisbane, Adelaide and Canberra. 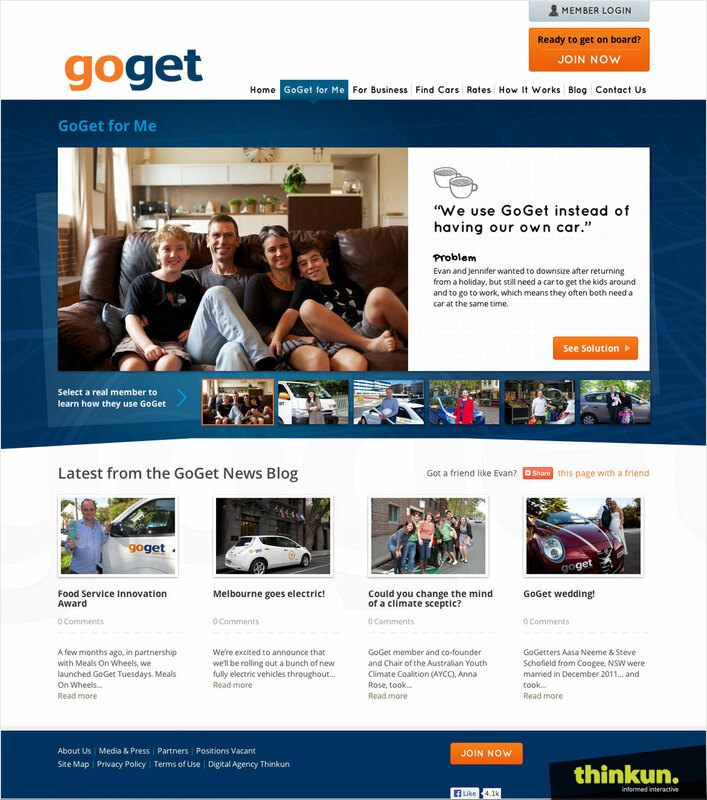 GoGet were in need of a web presence that suited their progressive, community-centric persona. 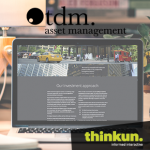 Thinkun developed and implemented a fully responsive design that delivers a consistent user experience across all devices and screen sizes. 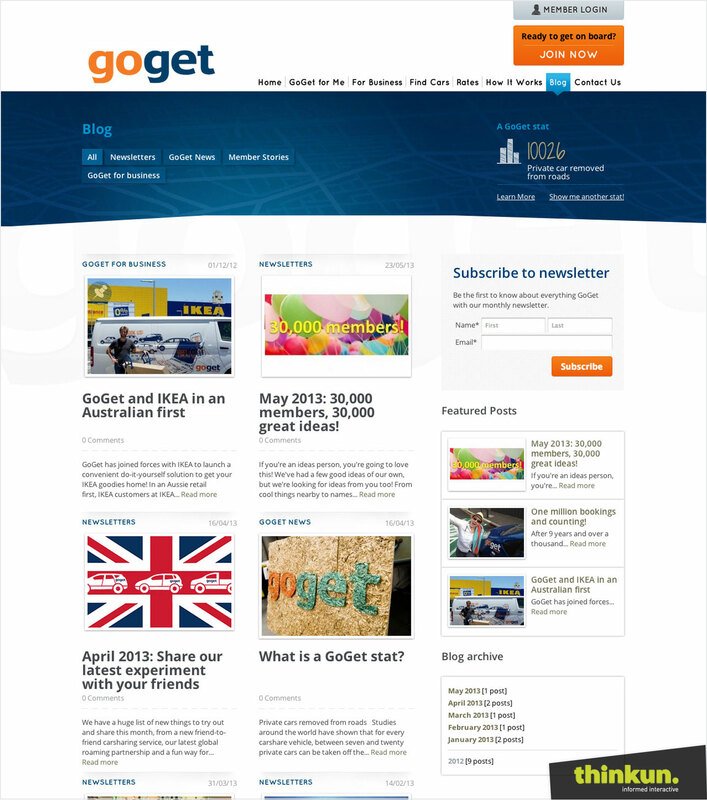 This is critical for GoGet customers, who often book a car ‘on the go’ as the need arises. 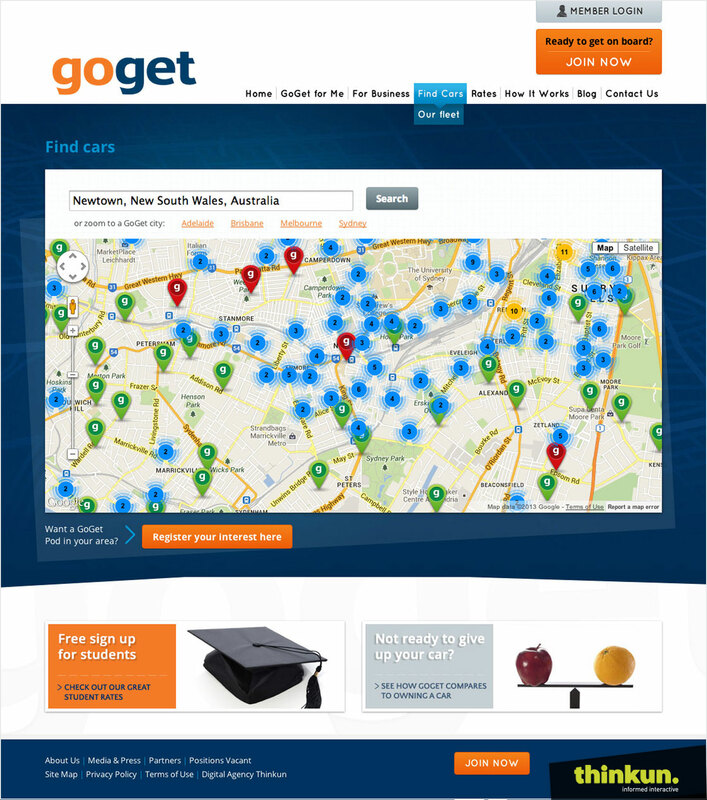 This dynamic website includes a convenient Find Cars section that is fitted out with a custom Google Maps implementation featuring pins and flyouts for each pod. All of this is connected via XML to GoGet’s central booking system. This ensures that pod pages are automatically updated with live information about car availability.